Part of the re-urbanization of this country is going to be driven by the Buy Local initiatives happening everywhere. 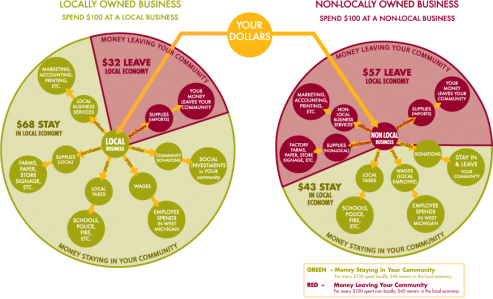 Buy Local initiatives will eventually emphasize a "Net Better" - Price competitive, better service and better products. in Maine near the Time4 offices. Buy Local will take much more than just saying "buy local"; it is much more than a lip service trying to get locals to stay in town rather than going to the malls or online. It is going to take collaborative efforts by local commerce and local politicians working together as well as educating their community. Buy Local must become a destination. Buy Local must be price and service competitive. Buy Local will require an online presence of products and services like many grocery stores are trying today. As a matter of fact, a good Buy Local model will require all the exact products and services that a shopping mall provides to ensure success - plus more - educating the community on why Buy Local is good for them. This is not an option, this is a must and will happen - it is just going to be a matter of who recognizes this first and takes advantage of the opportunity most. SOURCE: Civic Economics - "Local Works!" Study, 2008. Commissioned by Local First. Collaborative customer sharing (being close together or easily cross accessible). Being price competitive with the Internet retailers. Collaboratively educating the community on "Local". 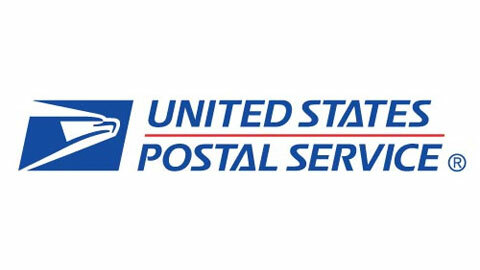 Even the United States Postal Service (USPS) is getting into the Buy Local game; it's EDDM program and service, possibly its final encore, favors local business and does such at both a price and service level that its competitors cannot match. EDDM targets local; as finite as an individual mail route (imagine real estate agents, the 500 homes around the one you are selling). - I have wondered if the USPS knew this upfront or was it just an unexpected by-product of their initiatives.. This is what Time4 / LightsOn's Buy.Eat.Live.Local. publication helps to address. The theme / affinity is your hometown. It takes collaborative efforts in development, entertainment and advertising. This makes "Local" a destination; it makes "Local" the mall. Some places were created with this in mind (though upscale) like West Palm Beach, Florida's CityPlace. Some places were converted such as Boulder, Colorado's Pearl Street Mall. What we will end up with is "self sustaining communities" - a topic in vogue in both political and academia worlds.